We will make you feel funny and tired !!! Welcome to the rainforest of Koh Chang island. Forest filled with green plants. Forest insects singing loudly. Colorful bird species and beautiful wildlife. We recommend half day trekking fun and exciting. 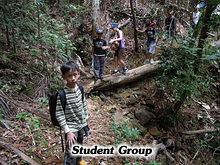 This path we are heading to the 2nd level of Klong Plu Waterfall is a small challenge trip. We guarantee that the funny and make sure you are tired. If you have more time and need more challenging. We recommend the full-day treks. Starting from the western to the eastern part of the island. Through the rain forest. Through the bamboo forest views. 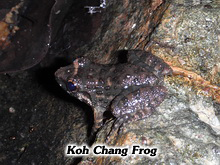 You will see Koh Chang Frog. 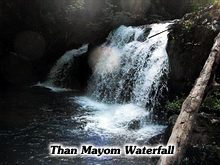 Visit the origins of the Than Mayom waterfall that few people have seen. And enjoy the fresh cool tropical waterfall. We also have a rain forest bird. Many bird watchers carry binoculars come here. I know people go bird watching. Our experienced bird guide will take you to the lovely bird itself. We are the best Koh Chang Trekking and Bird Watching Tour, Let's Trek !! !